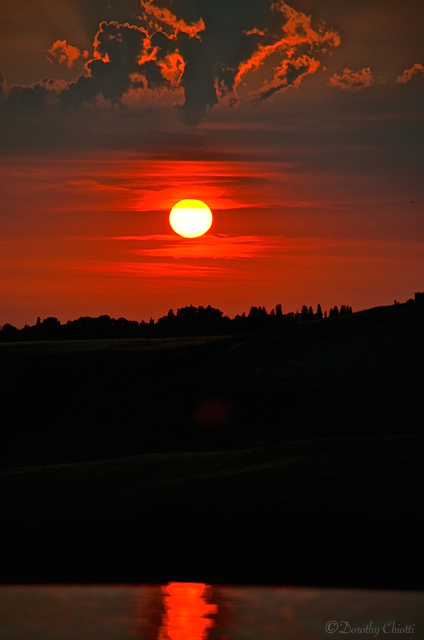 This entry was posted in Italy, Photography, Travel, Weekly Photo Challenge and tagged Aimwell CreativeWorks, Dorothy Chiotti, inspiration, Italy, Photography, postaday, sunset, Travel, Tuscany, Weekly Photo Challenge. Bookmark the permalink. I love the reflection in the water and in the sky! Me too. 😊 … Thanks for stopping by. Dorothy, what a wonderful photo, especially with the reflection at the bottom.